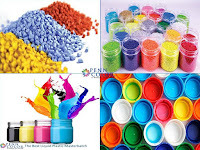 Plastic Industry Resin Sistema Plastics. 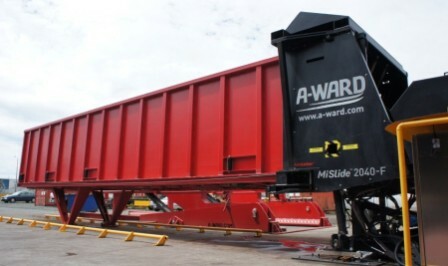 A-Ward’s resin unloading system meant no warehousing set up costs were required. The system reduced their labor, shipping and handling costs to the bare minimum. 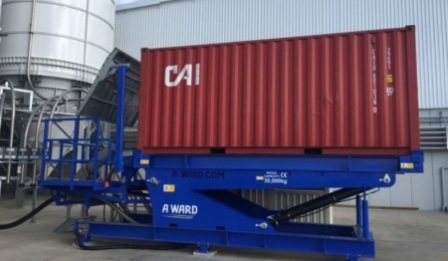 Sistema Plastic challenged A-Ward to supply a complete turn-key container unloading system, including all platforms, stairs, container liner connection, rotary transfer and blowing system. The new system had to enable Sistema to unload imported 20ft containers outside in all weather and guaranty the resin remained 100% dry. 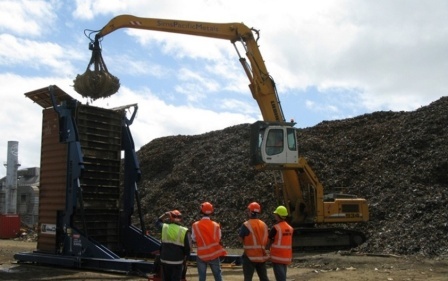 This container unloader was required to eliminate any specialized tipping trucks, specialized outside services or extra transport cost. The design also had to handle being loaded and unloaded with not only their container straddle crane but forklift and swing lift trailers. A-Ward supplied a specialized 20ft Flat Top Frame container loader with set loading height allowing for all loader options. 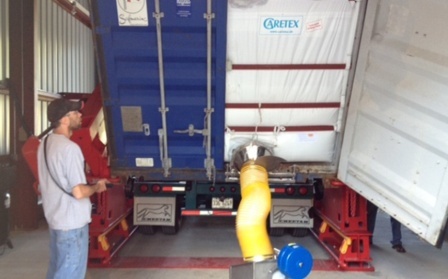 Remote controlled container locking, tilt and hold at any angle from 0 to 70 degrees to enhance resin gravity feed unloading managed with a safety sensor interlock control. 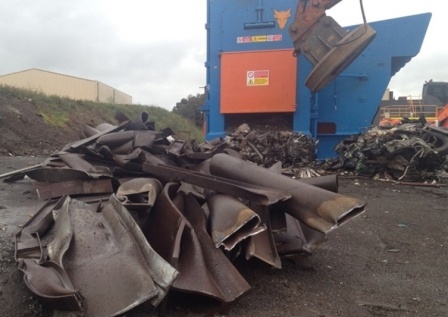 The Container Unloader is fitted with a hydraulic roof protection to keep the working area dry. An integrated ergonomic designed rear linkage platform and rotary blower feeder allows the unit to be raised and lowered while tilting, allowing a safe flat working area at all angle positions, and ensures the maximum resin is feeding to the unrestricted rotary blowing feeder. The Tilter is also fitted with container door safety braces and locks to protect the operator in the event of the container door latch failing. >Dramatically reduced shipping and local transport costs, through the removal of all specialized transport providers, with the A-Ward container unloader. >No extra warehouse building costs with a self-contained unit able to work outside. 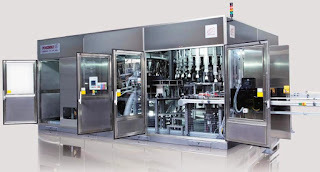 >Reduced labor costs through direct automatic unloading . >Elimination of water or contaminate damage of the resin. Sistema Plastic has truly built a world leading plastic manufacturing facility.